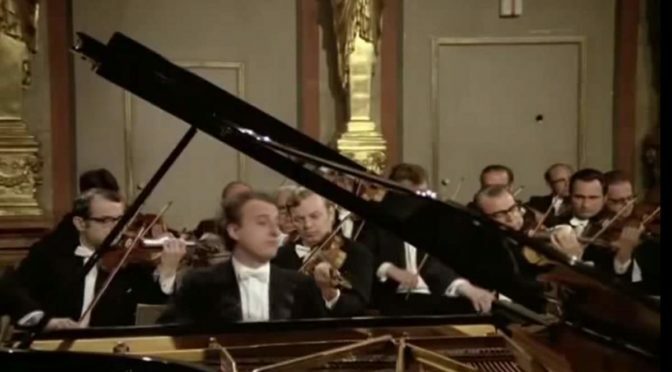 Accompanied by the Orchestra Filarmonica Della Scala, Italian classical pianist Maurizio Pollini performs Wolfgang Amadeus Mozart’s Piano Concerto No. 21 in C major, K. 467. Conductor: Riccardo Muti. Accompanied by the Orquesta Sinfónica de Galicia (Galicia Symphony Orchestra), Italian classical pianist Maurizio Pollini plays Ludwig van Beethoven’s Piano Concerto No. 5 in E-flat major, Op. 73, the “Emperor”. Conductor: Daniele Pollini, the son of the pianist himself. Recorded live at the Palacio de la Ópera de A Coruña on November 14, 2014. 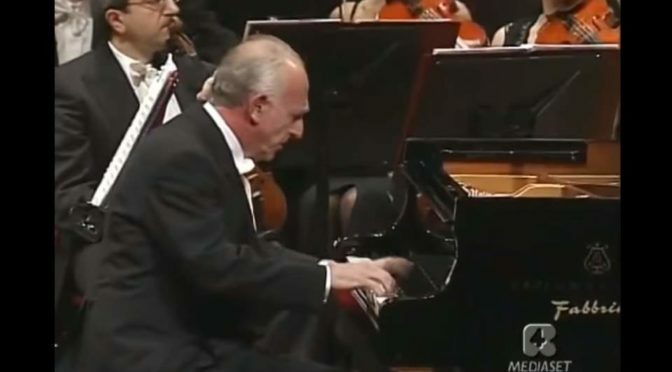 Italian classical pianist Maurizio Pollini plays Ludwig van Beethoven’s Piano Concerto No. 3 in C minor, Op. 37. Wiener Philharmoniker (the Vienna Philharmonic Orchestra) conducted by Karl Böhm. Italian classical pianist Maurizio Pollini plays Johannes Brahms’ Piano Concerto No.1 in D minor, Op. 15 at Semperoper, Dresden. Staatskapelle Dresden conducted by Christian Thielemann. Recorded in June 2011.